Category Dessert, Thoughts From Fit Paleo Mom and tagged paleo pie, Paleo strawberry pie, strawberry pie. My mom made a delicious lunch after church on Easter Sunday. Everything was paleo. I will post all of the recipes throughout the week. This was our dessert and it was awesome! You must try it! 2. Mix all crust ingredients together in a bowl. Add to a greased pie pan and bake for 15 minutes.then remove from oven and turn it down to 350. 3. Combine all filling ingredients in a bowl. 4. Pour into pre baked pie shell and bake for 25 minutes. 5. Turn heat up to 375 and bake for 10 more minutes. 6. Remove from heat and let cool before serving. 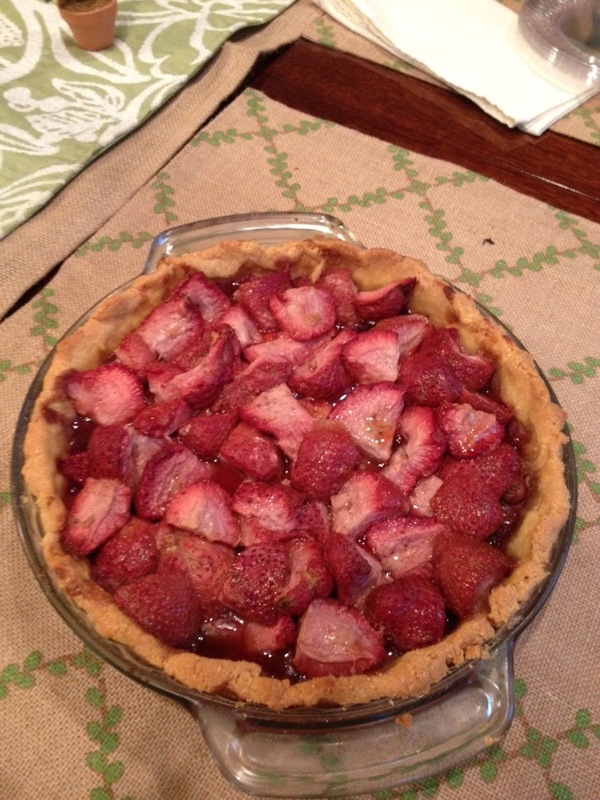 This entry was posted in Dessert, Thoughts From Fit Paleo Mom and tagged paleo pie, Paleo strawberry pie, strawberry pie. Bookmark the permalink. This looks amazing, cannot wait to try! !